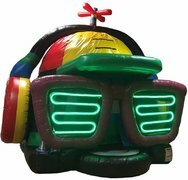 If you are looking for the largest selection of bounce house rentals in Savannah, GA then you have come to the right place! 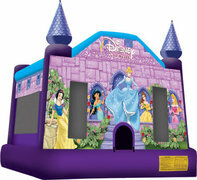 CJ's Event Rentals is Savannah's top choice for bounce house rentals and party equipment. 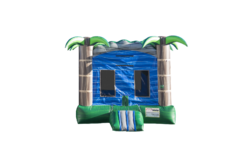 Here you will find a huge selection of inflatable bounce houses, combo bounce house rentals, water slides, dry slides, obstacle courses, concession machines, and many more! 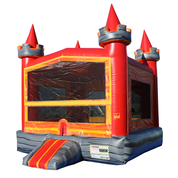 We like to ensure our customers are completely satisfied with their bounce house rental experience, so you can count on your party rental order showing up on-time, clean and sanitized, just like you ordered. 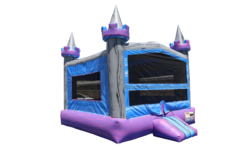 We provide bounce house rental deliveries throughout the greater Savannah, GA area and its surrounding communities like Savannah, Hinesville, Pooler, Richmond Hill, Rincon, Garden City, Port Wentworth, Fort Stewart, Springfield, Bloomingdale, Thunderbolt, pembroke, Midway, Guyton, Brooklet, Allenhurst, Riceboro, Vernonburg, and many more. See our delivery area page for complete details. 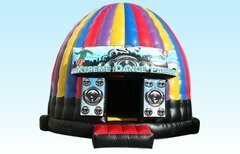 We Offer More Than Just Bounce House Rentals! Are you looking to add some water to your party? Take a look at some of our water slide rentals! We have a wide selection to choose from with something that is sure to fit your party's theme. We also have dry slides that can be used without the water as well as interactives for all age groups! If you would like to treat your guests to delicious snacks, check out our concessions page where you can rent out one of our snack machines. We can also provide you with tables and chairs to seat all of your guests. Give us a call and we will do it all for you; from booking your event and scheduling delivery drivers, to setting up and tearing down, we will provide the highest level of customer service to make sure you are completely satisfied and pleased with our service. 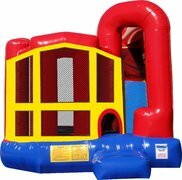 Please check out our awesome Bounce House Package Specials for discounts when renting multiple items! If you have any questions or think you may need special accomodations, please give us a call at 912-508-8515 or visit our contact page.